Lock in a great price for Villa Dini - rated 9.2 by recent guests. 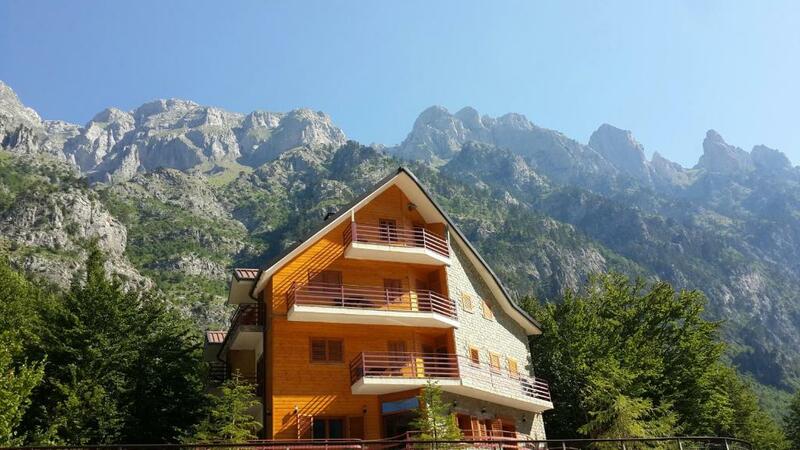 Amazing place, staff were very friendly and helpful, speaking english, room was clean with beautiful views, bed was large and very comfortable, great breakfast, dinner top, I hope once we come back, for me the best place with accomodation in Albania. Thanks for unforgettable days. Our stay in Villa Dini was just great! 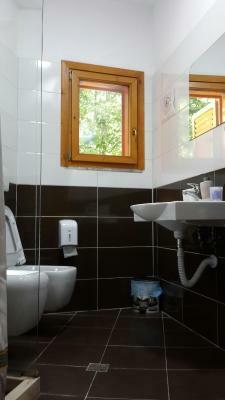 It was a very well maintained guest house with very friendly and helpful staff. The room was very well maintained and clean, and it was lovely to sit in the balcony in the autumn sunshine. Heating in the room only turned on in the evening but it was more than adequate. Breakfast was simple but tasty however dinner was really good! We really enjoyed the baked vege dishes. The staff were able to recommend suitable walks for us and our 3 year old daughter which we very much enjoyed. Would highly recommend! Beautiful hotel in a stunning location. The room was spacious and clean and the private terrace had gorgeous views. The staff were friendly and the owner is happy to drive you to the beginning of the Theth hiking trail at whatever time suits you. Well worth the money! The rooms were nice and clean. Great staff, they made us feel very welcome. Lovely staff - they drove us at the crack of dawn so we could get the early ferry and packed up our breakfast. The food from the restaurant was really good! Rooms comfy. Peaceful and picturesque setting in a secluded spot set away from the main strip of guesthouses in Valbone. Rooms spacious and comfy, dinner excellent, and a good range at breakfast. Ariel very helpful in advising us on a short walk we could take up to the river and into the hills above the town in the afternoon after we arrived, also gave useful info on the Valbona-Theth hike which we completed the following day (+organised a jeep to bring us to the start of the trail). Scenery around Villa Dini is stunning and the restaurant balcony is the perfect place to relax and take it in. Lovely scenery, very friendly staff and delicious home cooked dinner. 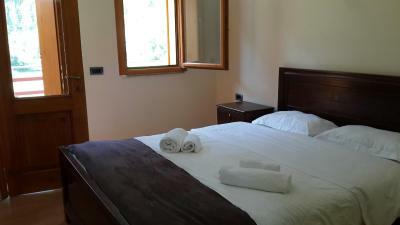 The hotel offers free transfer to the starting point of Valbone hiking trail. On request they prepare lunch boxes for hiking. We really enjoyed our time here. The staff were really helpful and even drove us to the beginning of the Valbone to Theth walk. This place is so relaxing and the food was great. The enormous omelet was perfect with the rest of the breakfast and its location was perfect! At the hotel, all rooms come with a wardrobe. 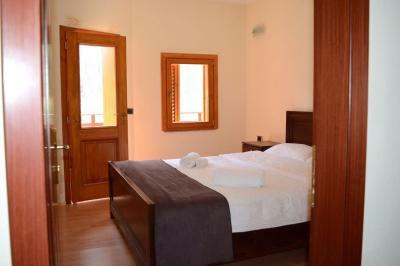 Rooms are equipped with a private bathroom and free toiletries, and some rooms are fitted with a balcony. Speaking English and Italian, staff will be happy to provide guests with practical advice on the area at the reception. 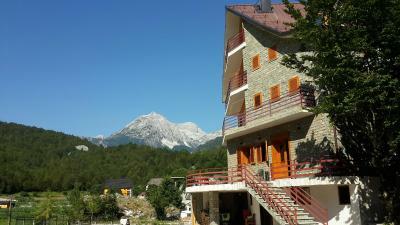 This property also has one of the best-rated locations in Valbonë! Guests are happier about it compared to other properties in the area. This property is also rated for the best value in Valbonë! Guests are getting more for their money when compared to other properties in this city. Villa Dini has been welcoming Booking.com guests since 23 Feb 2016. When would you like to stay at Villa Dini? House rules Villa Dini takes special requests - add in the next step! Villa Dini accepts these cards and reserves the right to temporarily hold an amount prior to arrival. The room was a bit noisy due to its location, but not enough of a hinderance to prevent sleep. Breakfast was generous with many options and the fresh bread was absolutely amazing. The shower was hot with excellent water pressure. Beds were comfortable. The wifi signal was not great, but then again I did not expect it to be good as Valbone is quite isolated! Wi-Fi was very spotty (but its to be expected out here) and food portions were quite small. Had a wonderful stay here, friendly staff, spotless rooms, warm bed and gorgeous views. The rooms are pretty basic, yet ok for one night. We were very happy w our stay. The staff was very friendly and accommodating. The room was very clean, the food was great. The breakfast spread was very generous and homemade honey and jams were delicious. The staff were very helpful with advice regarding hikes in the area and took us to the start of the Thethi trail. We would definitely recommend vila dini. Wish we could have stayed longer than just one night.